Tom Williamson to present his Pi-based machine to ROUGOL. The perfect computer for anyone who likes Airfix models. Or Ikea furniture. If you have CJE Micro’s old number (ending 666, which I’d make a joke out of if this was a full post), it’s time to replace it with the correct one – (0)1903 523 222 – which has been their main number for some time. The line carrying the old number will shortly be disconnected. In addition to which they are also discontinuing their fax number because it has been some years since anyone contacted them that way. The phone number for CJE Micro’s and 4D has changed, and the old number will be discontinued soon. The new number is +44 (0)1903 523 222 – so if you don’t have that in your address books (or Organizer! ), you need to update it pronto. The fax number will also be changing in the very near future. Currently +44 (0)1903 523 679, from 9th July, the number you’ll need in your address books (or Organizer!) is +44 (0)1903 213 901. The main email addresses remain unchanged, for sales, support and 4D. 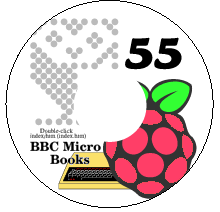 Christopher Dewhurst, the Drag ‘n Drop Publications editor, has released an excellent compilation of 55 BBC Micro Books, all together on one CD ROM. Well, newish – the first time at this particular show. The next meeting of the Wakefield RISC OS Computer Club takes place on Wednesday, 1st March – two days from now. The theme of the evening covering a selection of hardware and software, that visitors will be able to look at and play with. The meeting starts at 7:45pm, and anyone with an interest is welcome to come along. Members get in for free, and non-members have to pay £3.00 – but annual membership costs just £15.00, discounted to £7.50 in the first year, and full benefits of doing so are described on the Club’s website. In a very meta-move, Chris Evans has announced that there will soon be two more announcements from CJE Micro’s. Well, more specifically, he’s announced that CJE Micro’s will be launching two new products at the Southwest Show tomorrow, and referred people to separate announcements to find out more – presumably, they’ll either appear later today (which might make them too late for RISCOSitory this side of the show), or he’ll be announcing them at the show, with online announcements after the event. Either way, one good way to find out more is, of course, to head on down to the show itself. RISC OS Southwest: One week to go! That’s just seven days – so few you can count ’em on the fingers of, er, one and a bit hands! In a week’s time, a large contingent of the RISC OS community – hardware and software developers, businesses, hobbyist programmers and, of course, general users – will be converging on a hotel in a rather nice setting on the Mendip Hills for the first main event of the year: RISC OS Southwest, organised by R-Comp‘s Andrew Rawnsley and Orpheus Internet‘s Richard Brown.